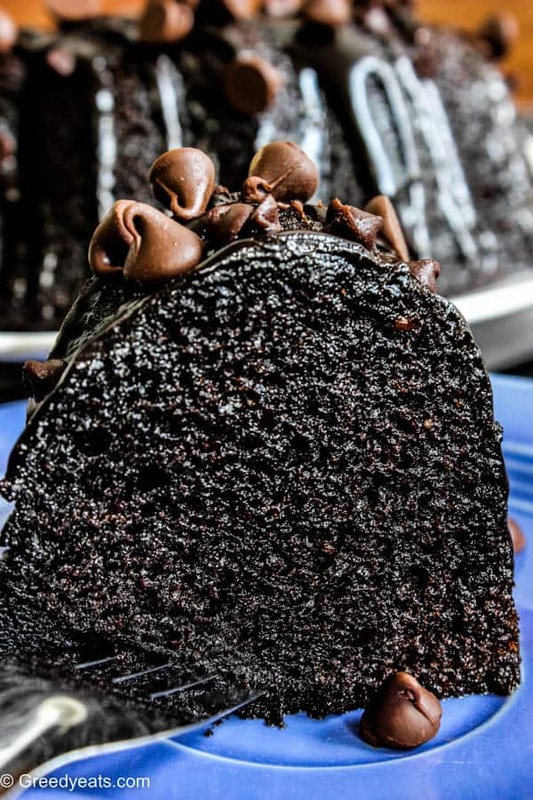 Super easy and moist chocolate bundt cake recipe with dark chocolate ganache. Leave everything else and bake it right now! With this chocolate bundt cake around, your mornings are sure to start with chocolate and end with chocolate! I mean look at it. ↑↑↑ It’s not that I always speak from experience or anything. 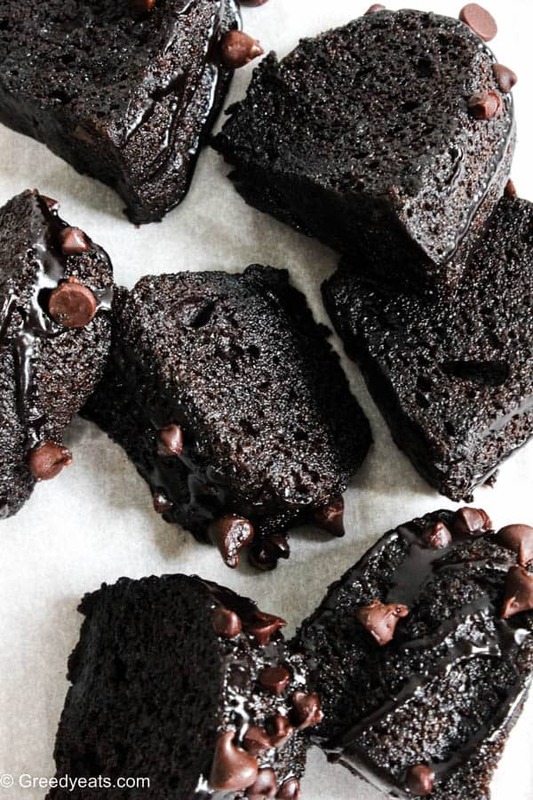 This cake is laughably easy, ridiculously rich, super moist and so chocolatey. Topped with ganache (ooh some of it also seeps into the cake, DELICIOUS!) and chocolate chips of two kinds. It’s time to loosen those pants my friends! Dissecting our moist chocolate bundt cake recipe! The recipe begins with cake mix. Now I know many of you don’t like cake recipes that start from a box. But believe me, there is no alternative to this recipe that I’ve found yet! Usually bundt cakes have a tendency to dry out as they bake. But I wanted my cake far cry from being dry! And you will agree I did a good job there, won’t you? Apart from being supremely moist, it is so soft and has a velvety texture. When you attempt to cut it, the fork goes in like it’s softened butter. All the credit goes to sour cream, chocolate pudding mix and oil in the recipe. Yes, we are using oil to moisten and soften our bundt cake today. We don’t really need that buttery taste in chocolate cake recipes like this. All we want to taste is chocolate. This sour cream+oil duo creates the most moist chocolate bundt cake you’ll ever know! I topped my chocolate bundt cake with a dark chocolate ganache. This ganache is prepared on the stove top with a few simple ingredients. I used dutch cocoa for that dark color. You could also use unsweetened one if you prefer. Dotted this crazy decadent cake with a boatload of chocolate chips (both mini + regular). Oh and also added 2 full cups of chocolate chips in the cake batter. Told ya, you need to loosen your pants! Fair warning: Bake this cake only when you have company around. I am not so experienced to extend this warning any further! Still hungry? Try my brownie and chocolate chips stuffed giant cookie next! 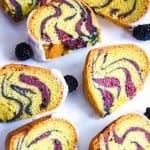 Are you into vegan baking? Then my non-vegans approved easy chocolate cake is for you! 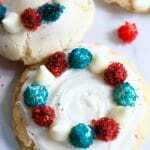 You DO NOT want to miss out on these cookies with sparkling chocolate chips! Want more chocolate? Then five my moist chocolate cupcakes recipe a go! 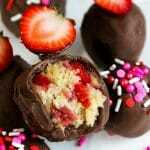 You will love that strawberry frosting on top! 1. Preheat you oven to 350 deg F. Generously grease and dust a 10 inches bundt pan with butter/spray and dark cocoa/flour. Set it aside. 2. In a mixing bowl combine all the wet ingredients till mixed. Now add cake mix and pudding mix and beat until no flour is visible. You could also do this with a hand/stand mixer. Mix everything on medium speed for about a minute till the batter is smooth and is well combined. Don't over-mix it. Add in the two cups of chocolate chips. 3. Pour the batter in the prepared pan and bake for about 55-58 minutes ot until the cake isn't jiggly anymore and is set in the middle. 4. Allow the cake to cool in the pan for a while and then invert on a wire stand to cool completely. Frost when cooled. Make ganache while cake is in the oven. In a small sauce pan add milk, butter, vanilla, sugar, cocoa and heat it till the sugar dissolves, stirring continuously. Remove from heat and let it cool completely. Now beat the ganache using a balloon whisk till it thickens and smoothens to a spreadable consistency. You can also use chocolate mixes with natural cocoa and the same goes for pudding as well in this recipe. 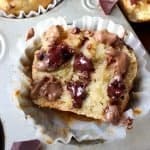 Don't use cake mixes that already have puddings mixed in them. It doesn't give the same results. 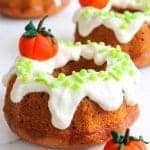 If your bundt cakes aren't completely moist (or incase they are overbaked), I follow this weird trick that works like a charm! Simple syrup soaking! Take about 2 tbsps of water and equal amount of sugar. This solution shouldn't be all watery or else you will end up over-moistening your cake. You will heat it in the microwave just till it boils, to help that sugar dissolve completely. Drizzle this room temperature solution over your cake using a spoon/pastry brush and voila! Sometimes, I also do it on individual slices too (Now you know for sure how I loathe dry bundts). 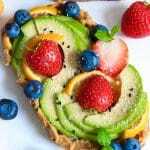 You will be amazed to see how it enlivens your cake. Taste wise and lookwise. This cake looks so insanely moist, and I’m legitimately angry I’m not eating a piece right now. 😉 Also super intrigued by the pudding/cake mix combo. I’ve never tried that before, but now I’m thinking I need to! wow that looks so chocolatey, rich and tempting! So happy to hear it Angie! 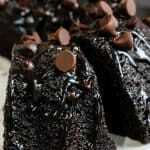 This chocolate cake looks so good Neha. 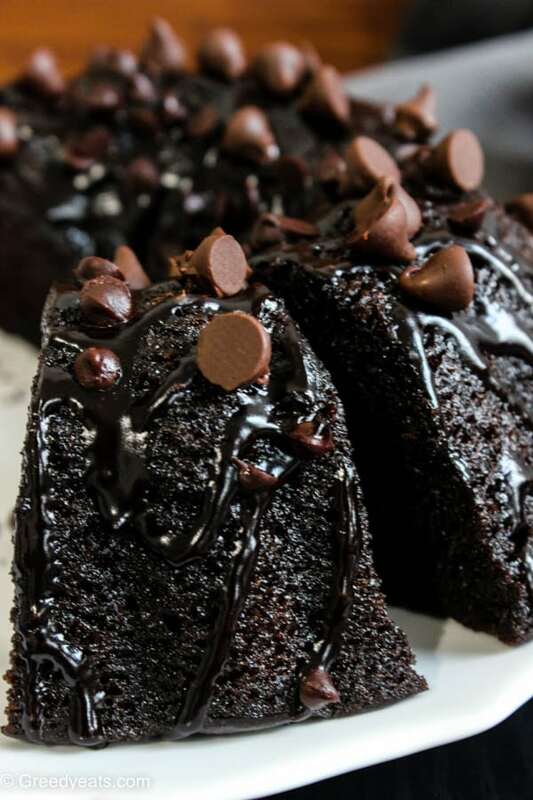 So perfectly moist and chocolatey. I love the use of chocolate pudding in your recipe. I have never tried it, but I can see what an amazingly moist cake it produces. This I have got to try. You will love it Ashika! You’re so right, Neha! 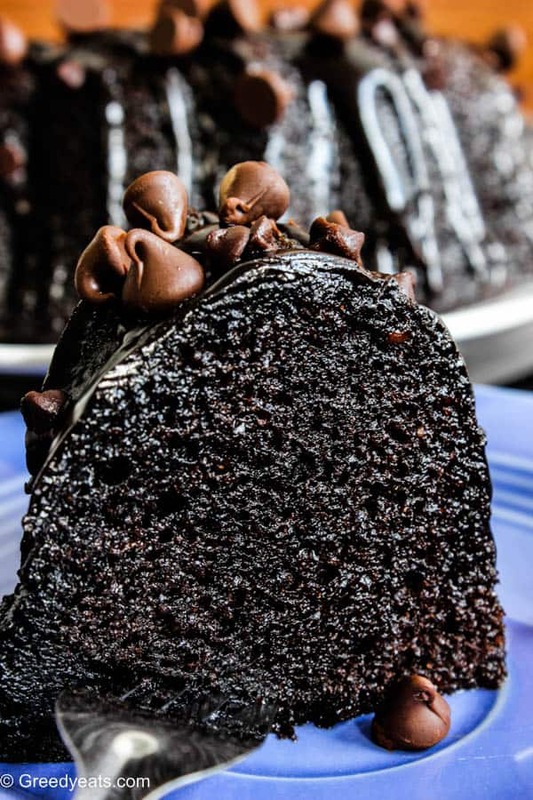 This cake looks heavenly – moist, chocolatey, so so good! I might just start and end my morning, afternoon and evenings with it! wow. That does look moist! I’m usually not a fan of dry baked goods, especially shortbread and scones. Bundt cakes can be dry as well, at least to me. So this recipe is a keeper! thanks! You said it so right Mimi! Dry baked good are the worst! I know you’d like it! This cake looks heavenly awesome… ahhh what a texture! wow! this looks sooo good! its a drop whatever you’re doing to make this right now-type of recipe. Ooooo, no problems with cake mix here! This looks insanely good! Thanks for sharing! Yayy!! So happy to hear it.